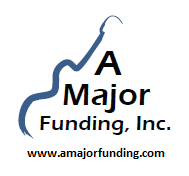 A Major Funding, Inc. (AMF) will work with nonprofit organizations to add value to their fundraising efforts by contracting with them to put on musical events and provide guided fishing and hunting trips that can be used to raise money for the organization. AMF will also perform these services on behalf of individuals and/or charities AMF will personally support. The purpose of this organization is to use the talents and skills of individuals who would like to use their abilities for charitable purposes, but do not have the organizational or relational tools to make it happen. This will include the involvement of professional musicians and outdoorsmen who seek a way to give back to their community. This activity will further our purpose by generating additional revenue for charitable purposes. Some of the funding will come from fees generated at events, but much of the funding will come from donations from interested businesses and individuals as well as the donations which come from the musicians and outdoorsmen who will donate back to the organization part or all of their fees to provide the services.